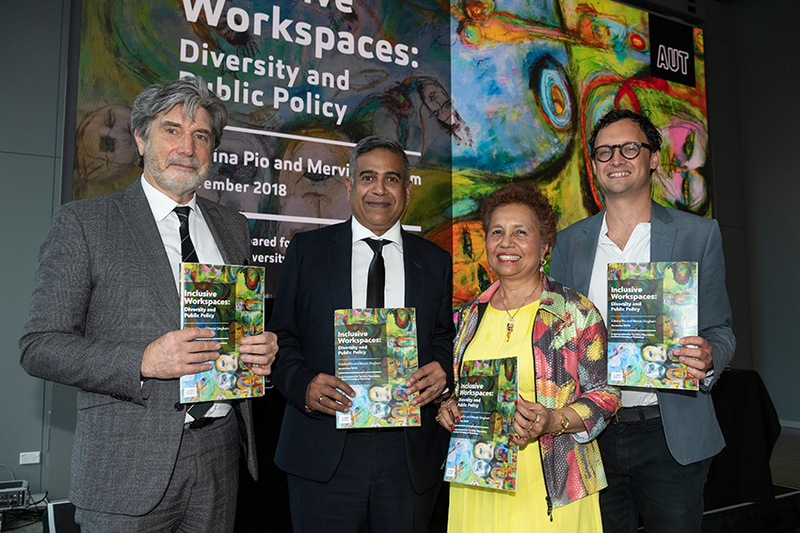 A new report into the role of the public sector in diversity and inclusion has been launched by Auckland University of Technology’s (AUT) Policy Observatory. Co-authored by Professor Edwina Pio, AUT’s University Director of Diversity and Mervin Singham, presently the Executive Director of the Royal Commission of Inquiry into Historical Abuse in Care, the Inclusive Workplaces: diversity and public policy report explores what the government can do to improve diversity outcomes in Aotearoa New Zealand. At the launch event Professor Pio and Mr Singham discussed the potential for policy makers to be ‘diversity promoters’, especially by setting the tone for wider society. However, the co-authors were frank that there was significant room for improvement for the state sector, to improve its own outcomes for diversity and inclusion, if it is to serve as an effective role model for other community and private-sector organisations. Workplace inequality remains a challenge for diversity and inclusion. Ethnic pay gaps continue to disadvantage Māori, Pacific and Asian workers. Gender pay gaps have reduced over time in Aotearoa New Zealand, but there is not equity yet. While diversity and inclusion policy in New Zealand already supports a range of ‘soft practices’, the authors argue that there is scope for more robust tactics to address continuing workplace inequalities and to enhance CQ (or ‘cultural intelligence’) in our highly globalised era. The opportunity for policy makers to be ‘diversity promoters’, and for public sector workplaces to set the agenda for wider society, by setting precedents that other workplaces should and can emulate. The overreliance on ‘soft practices’ for diversity and inclusion in relevant policy, especially the State Sector Act 1988, which leads to incremental and voluntary change. The array of international examples – from Canada, the Netherlands, the Nordic countries and elsewhere – that Aotearoa New Zealand might explore for enhanced policy options. 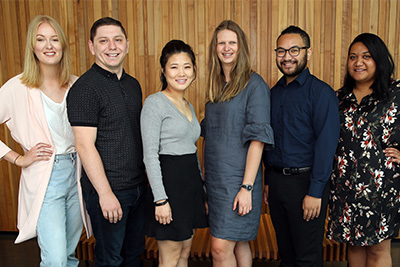 The importance of improved ‘cultural intelligence’ (or CQ) for present and future leaders, which strengthens their capacity to navigate a world of global mobility and superdiverse communities like Auckland.